SYRACUSE, N.Y. -- The Perfect Game Collegiate Baseball League (PGCBL) announced today that it has completed its corporate transition to a limited liability company to provide the league with strong organizational governance for the future. All the existing PGCBL teams have become members of the corporation and the league’s newest franchise in Watertown, which is set to debut in the upcoming 2018 season, was admitted as the 14th team. *Will play its inaugural season in 2018. **Elected voluntary suspension for 2018 season. Each division nominated a member to sit on the newly-organized Executive Committee. Robbie Nichols (Elmira) will represent the West, Travis Heiser (Mohawk Valley) will represent the Central and Jason Brinkman (Albany) will represent the East. Alyce Lee (Onondaga) was elected treasurer. In addition to its ongoing duties, the Executive Committee has been given the additional responsibility of managing the company until a new independent Operating Manager is hired. A national search is being conducted to find a strong leader with experience in collegiate and/or minor league baseball to fill the newly recreated office. Jason Brinkman, vice president and general manager of the Albany Dutchmen, said, "With the corporate transition and the addition of Watertown's experienced ownership group, we have strengthened the foundation of the league. It will be an exciting challenge to identify an Operating Manager that will help guide us towards continued future success." The PGCBL also elected a scheduling committee in the same divisional representational manner, with the task of preparing the 2018 schedule. The Perfect Game Collegiate Baseball League is a 14-team summer collegiate baseball league in Upstate New York. Since its inaugural season in 2011, the PGCBL – which annually draws talent from some of the best NCAA, NAIA, and junior college programs – has quickly evolved into the premier wood bat league in the state of New York, while becoming one of the most widely respected summer leagues in the country. 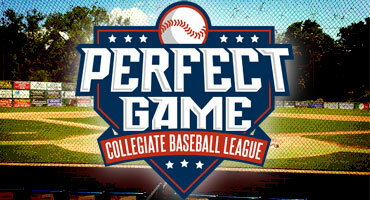 The PGCBL is affiliated with Perfect Game, the nation’s largest independent amateur scouting bureau. Last year, there were more than 1,500 players in the pros who either wore the uniform of a PGCBL team or participated in a Perfect Game event. For more information, please visit www.pgcbl.com.